Swiss Made 25 Jewel. T Swiss Made T. Rotary Fitted Steel Buckle. Period Rotary Storage Case. signature Rotary steel buckle fastener. Swiss made AS 1902 caliber 25 jewel automatic. Stunning all steel cased Rotary GT dating. New listingOMEGA TEDDINGTON CALIBRE 30T2 SC GENTS VINTAGE WATCH c1940's-RARE PIECE! 33.2mm excl. gents wrist. Suisse Swiss Made 10372172. 5 out of 5 stars - Rotary Men's Interchangeable Leather Strap Chronograph Watch. 2 product ratings2 product ratings - Rotary Men's Interchangeable Leather Strap Chronograph Watch. 5 out of 5 stars - Rotary Men's Utilitarian Waterproof Stainless Steel Watch Set. 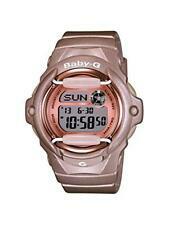 2 product ratings2 product ratings - Rotary Men's Utilitarian Waterproof Stainless Steel Watch Set. LONGINES CALATRAVA CAL. seconds at 6. 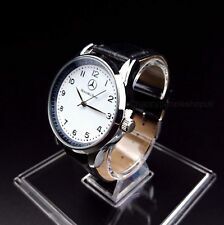 New listingROTARY SWISS GOLD PLATED GENTS VINTAGE DRESS WATCH c1950's-STUNNING! Seconds dial Swiss Made at 6. 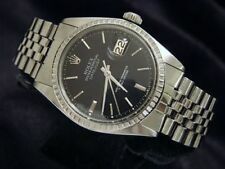 The watch is in superb clean condition finished to a very high standard.such a stunning gents dress watch! Clean crystal. Dating from the 1970's with a Oris caliber. KIF 712 - Circa 1970's. Swiss Made 7 Jewel. Swiss Made. Steel Snap On Back. Watch Only. Natural Age. Natural Age & Wear. ORIS Military Vintage Watch Hand Winding - Excellent Working Condition . Condition is Used. Dispatched with Royal Mail 1st Class. 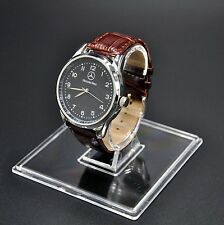 Ravel gents' watch R0220.02.1. Stainless steel expanding bracelet. Bracelet can be shortened by a jeweller or watch person. The UK's Watch Strap Specialist. We pride ourselves on getting your order on its way to you as fast as possible. HIPHOP WATCH & BRACELET SET . Adjustable Watch Link And Bracelet. Material: Silver Plated. Bracelet Specification. Sekonda Temptations Ladies Bracelet Watch. 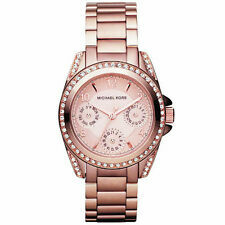 Sekonda Temptations Ladies Fashion Watch. Rose Gold Dial. 2 Tone Bracelet with Fold Over Jewelry Clasp. See below for further details about each product. RRP: £49.99 ¦OUR PRICE: £26.90. 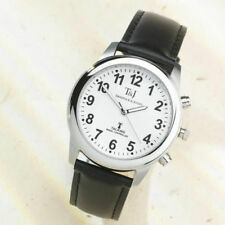 Ravel Mens SUPER BOLD BIG NUMBERS Watch Easy Read White Face Black Strap. It is amazing value for money! Ravel classic styling. a polished silver coloured casing. a black, faux leather strap with 9 hole size choices and buckle fastening (approx 16mms wide near the buckle x 23cms long). 5 out of 5 stars - Ravel Mens SUPER BOLD BIG NUMBERS Watch Easy Read White Face Black Strap. 9 product ratings9 product ratings - Ravel Mens SUPER BOLD BIG NUMBERS Watch Easy Read White Face Black Strap. I'm afraid I do not know much about the origin of this watch, as I bought it on a whim because I liked the way it looked. I have never opened it up, and can't therefore verify that the parts are indeed the original Oris parts from the 50s, nor that any of its accessories are original either. 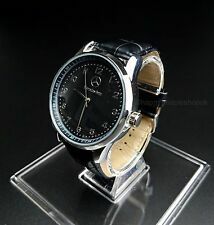 Lonstar Men's Vintage Mechanical Watch Stunning Condition Working. Condition is Used. Excellent chrome case with stainless steel back, satin silver Dial with gilt hands and batons. Glass has no chips cracks or scratches. Unused leather strap. In working order, winds and sets hands as it should. Please study photos carefully as they form part of the description and condition, as what you view is exactly what you will receive. Thank you for viewing. Lacoste Men's Borneo Silicone Strap Watch. • Buckle clasp. • Black rubber strap. General Information Model number 2010867. • Case size 44mm. 5 out of 5 stars - Lacoste Men's Borneo Silicone Strap Watch. 5 product ratings5 product ratings - Lacoste Men's Borneo Silicone Strap Watch. Manufacturer: Sekonda. Model: 1534. Dial Colour: Blue. Band Material: Leather. Band Colour: Brown. Band Width: 20mm. ODEON CAL. Beautiful piece with understated looks.minor plate loss to rose gold case. Add a splash of colour and style to your wrist with this Lacoste chronograph watch. It also has a blue rubber strap with pin and buckle clasp. Analogue display. White dial. Buckle clasp. Blue rubber strap. New listingLONGINES CALIBRE 410 LADIES VINTAGE DRESS WATCH c1970's-STUNNING! Accurist Skymaster Men's Stainless Steel Chronograph Watch. 5 out of 5 stars - Accurist Skymaster Men's Stainless Steel Chronograph Watch. 1 product rating1 product ratings - Accurist Skymaster Men's Stainless Steel Chronograph Watch. London E.C.2 17 Jewels U.M. at 12, Incabloc, recessed sub. dial & Swiss Made at 6. Good decent watch with a rustic dial. VINTAGE LANDERON 248 CHRONOGRAPH. SUPERB LONGINES WITTNAUER CASE & DIAL STYLE.